When I was new to Survivalism, I believed that “The Bugout” was the only way to go. I have had a backpack ready to go since I was twelve, and the only things that have really changed were techniques of how I’d “Bugout”, and where “Bugout” it stands in the order of my precedence of response. I use P.A.C.E. 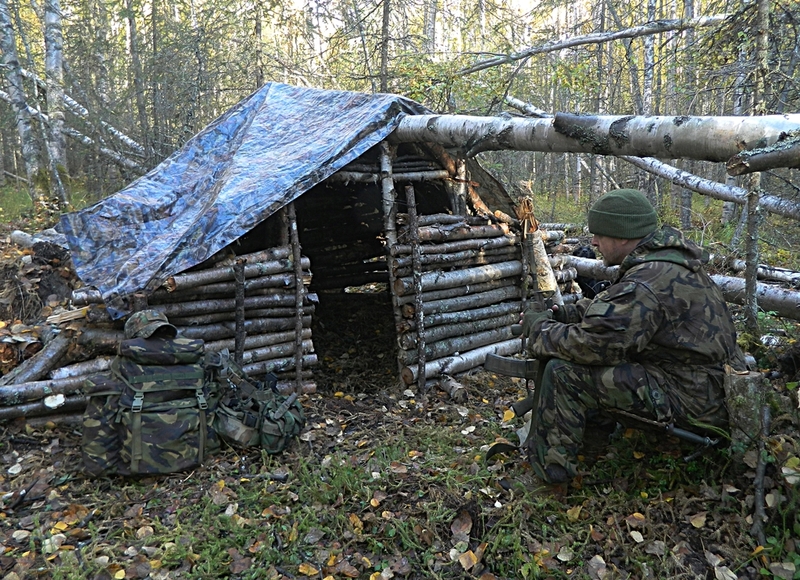 planning in all activities related to survival. It was something I was taught when I first went into the military, and continue to this day. “P” is primary, “A” is alternate, “C” is contingency, “E” is emergent or emergency. My friend Bergmann practicing what he preaches. Have you ever lived like this, even for a couple days? Through the years, my thought on “Bugout” have evolved, simply because it makes sense to not put yourself into that type of situational risk unless all other options are denied to you. Keep in mind, a “Bugout” is not the same as a “Bug to”. 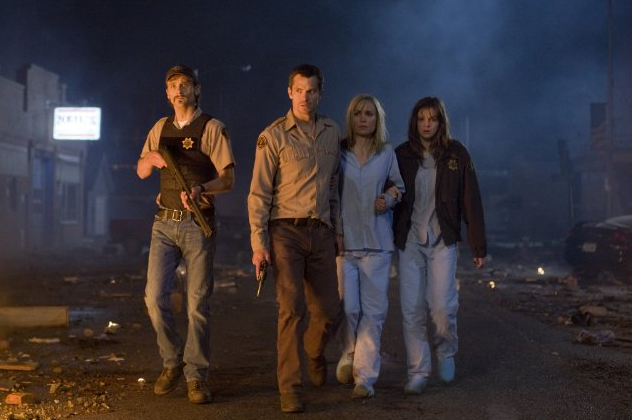 A “Bugout” is when you’re headed out of your primary home with no clear home/retreat to go to. Most say “We’ll set up in the national/state forest.” These types generally have never “Set up” for an extended period (most not longer than a week, some maybe two weeks of camping at most, but it’s all good training). A “Bug To” is when you are headed to a clearly defined home or retreat that has been planned out (if someone lives there, they know you’re coming) and prepared by you ahead of time, and has supplies already laid in for your stay because it was part of the “plan”. Although “Bugout” and “Bug To” are primary residence evacuations, one (Bugout) is way too open ended to not be the last option available to you. Let’s talk about “Bugout”, and why it should be the “E” in PACE planning. First off, how is the “Bugout” going to take place? In other words, what event will trigger your “Bugout”? Are you leaving on foot? Are you leaving by vehicle, and what is the load capacity of the vehicle (impending “Survival Vehicle” post coming up) . Are you taking a trailer? Do you have more than one vehicle (Convoy op)? Do you have a fixed location, even if it’s an area in the state forest you’ve reconned prior? How many routes have you created to get there, since one is most assuredly closed? Have you acquired detailed maps of the area? Do you already have a cache of supplies hidden there? We’ll cover some of these in order. Is this what you’re planning for after the SHTF? If so, you better figure it out and stock the area. Why is Bergmann doing this? BECAUSE HE HAS A PLAN! and is implementing and prepping it before he has to, so he can better his success in survival. What will trigger your “Bugout”? House to house searches by feds in your town? If you wait that long, you’ll definitely need to go by foot, because vehicle traffic will be stopped through the “Cordon and Search” process. A plant accident or natural disaster (Katrina) with poisonous chemicals or severe weather headed your way? Well that’s a “no brainer” vehicle “Bugout” if there ever was one, but I’m fairly certain you won’t be headed to a state forest, right? Is it from a man made incident (riot) like what happened in “Baltimoredore” a few years ago? Once again, even though leaving on foot might have to happen if it went off the charts insane (B-More was nothing compared to what’s coming if the EBT’s go down), but more than likely it’s a vehicle escape, and you’ll be headed to another home for temporary housing (an acquaintance had to do that with his mother during that incident, that was her CVS that burned down). I doubt you will perform a “Bugout” for an economic disaster situation. What good would that do to go to the forest because the economy collapsed. One scenario that sticks in my mind, especially due to my NBC (nuclear Biological Chemical) military background is a pandemic. Of course timing in this (like many other evacs) is crucial. Better one week early than one minute too late. They will drop the hammer of blockade hard when they decide to do it (a good example is the movie “The Crazies”). 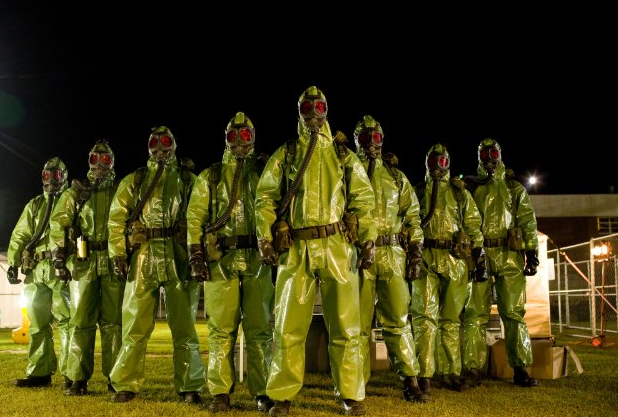 If you’re planning a “Bugout” after a nuke strike, you might want to do more research. If you’re still alive, but in a dangerous area (high radiation on site or in the path of impending fallout which usually goes downwind of the target, but winds aloft are tricky), you probably should shelter in place (hopefully you have a basement), because exposure outside will kill you quickly if caught in the fallout. 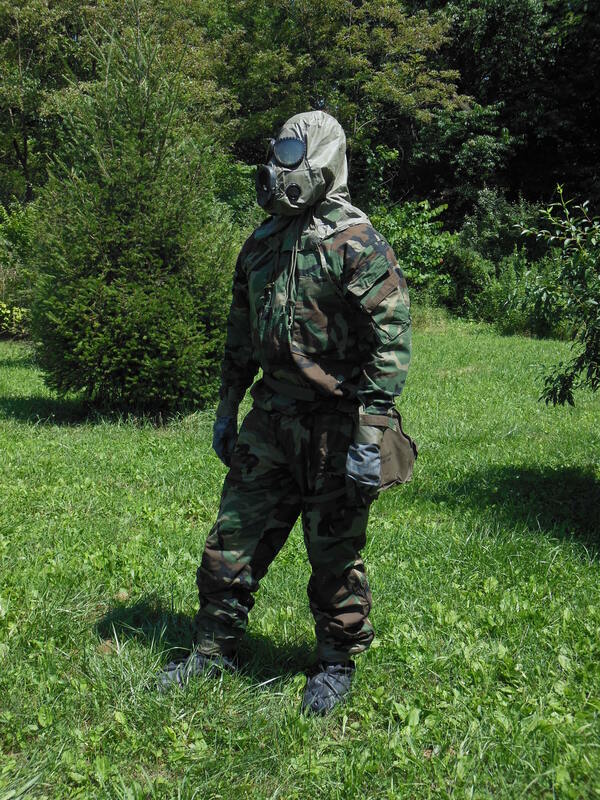 This is one time when a “Bugout” would be a good option, considering living in the forest for a couple weeks away from the radiation zone would definitely be the optimal choice. OK, so we’ve talked about what will set the “Bugout” plan in motion, now to the “means” of “Bugout”. Are you planning to “Bugout” on foot? Did you read the account of the couple that was ambushed in “Patriots, Survive the Coming Collapse”? Although they were “Bugging To” a retreat, it was across the country (Chicago to Idaho), and took them forever because they lost their vehicles initially in the city. How much food can you effectively carry with your other supplies in your rucksack? I’ve found two weeks is about it, and that makes for a heavy ruck. Have you tried carrying your ruck at distance with the actual load you’ve placed in it? You know, the one sitting in the corner of your spare room? What happens after the food runs out? Although you can extend what you’ve got with you by using game carts, you still will run out of the expendable items rather quickly. Wait, don’t tell me….you’re gonna live off the land, right? I know very few that could do this in reality (military SERE prepares you to exist and/or do without till they can recover you), and two things to note about them. One, they would never plan it as anything but a “last ditch” option. Two, they would tell you it would be existing, not living. 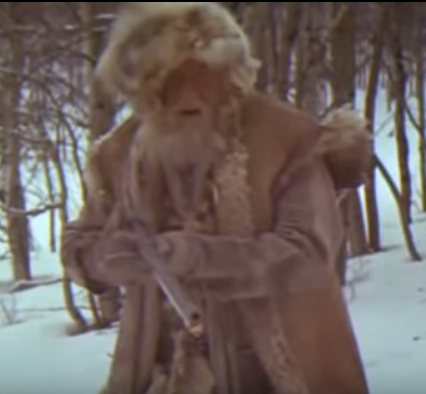 In that day what Jeremiah Johnson did is close to the “Vehicle Bugout” option of today. Are you going to have someone “Of his good nature” to help teach you how to survive? 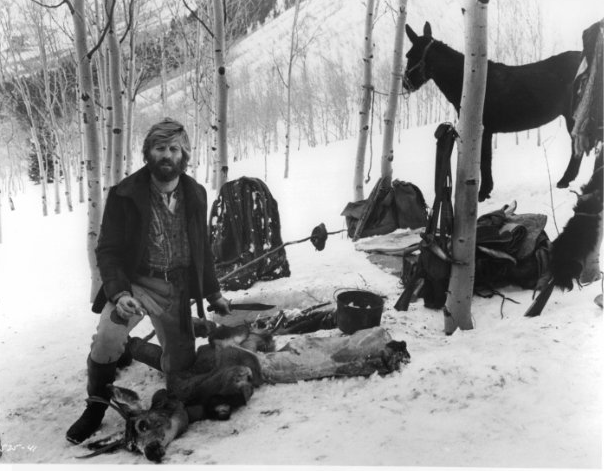 Wanna live like Jeremiah Johnson (watchin’ it right now to get me in the proper mindset)? If you’ll take note, first, he was assisted by Chris Lapp, and probably would have died like so many others that went to be “Mountain Men” if it hadn’t been for Lapp’s help. 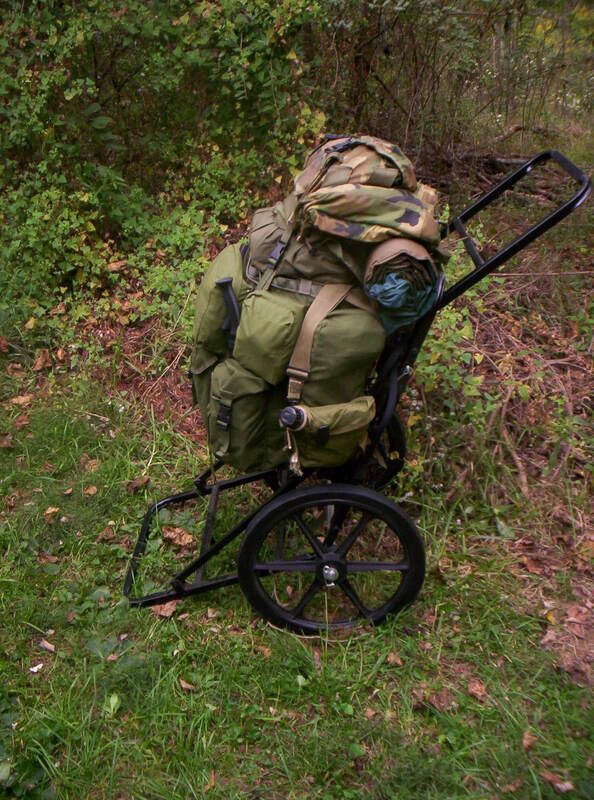 Are you gonna go to “Rendezvous” each spring and pick up the hundred pounds or so of supplies with your pack animals? Tell you what, ask my friend Bergmann what he thinks of that kind of never ending existence. On another note concerning the food and supplies thing. Do you have small (unable to carry their own supplies) children? Guess what? you just effectively halved your total “Per Individual” food carrying capacity. Are you “Bugging out” by vehicle? It’s definitely the better option, but still, if you you are headed to a remote undeveloped location with no other supplies on site. You’ll get by longer, but you had better figure how to extend what you have for a long period. The good thing about a vehicle, especially if it’s of decent size, is it’s ability to carry you, at least three of your loved ones, all your personal “Bugout” gear, and some extras (a 12×12 tent with woodstove comes to mind. Oh wait, that’s right, I forgot you’re “Bugging Out” during the summer, right?). What’s the range of a tank of gas in your “Survival Vehicle”? Do you have extra fuel ( I keep enough spare TREATED gas cans for one extra tankful)? Are you using a trailer? If so, this needs to contain the “nice to have” survival supplies, but not the absolute, survival “Necessities”, because you need to be able to ditch it in an emergency. What’s the trailer do to your vehicle’s fuel economy when you have the survival gear loaded up? Don’t know? How can you say “I have a plan” without knowing basic info about your “Survival Conveyance”, whether it’s your feet (how far, how fast, how much weight) or your vehicle (distance, capacity of personnel and equipment, etc)? A big downside to a vehicle is being required to at least stay on passable trails, and more than likely semi improved roads. Oh, I forgot, you have a Monster that will eat up cross country and make it’s own trail, right? The upside is that it makes a “Bug out” more palatable as an option when you do the math, as compared to “bugging out” on foot. Might a “Bugout” be necessary? Yes. Should you plan on it being anything but the last ditch option? No. The figures just don’t add up to success and long term survival. When it comes to PACE for me, I organize this way. PRIMARY: “Bug In” at my home with all the supplies I’ve prepared over the years. ALTERNATE: “Bug To”, and am headed to a property that has prepositioned supplies and family, and I’m taking my vehicle and trailer. CONTINGENCY: Longer route “Bug To” same as above, but to property of friends, and using two vehicles (convoy op) for security. EXIGENT/EMERGENCY 1: “Bug Out” to a secure, private, semi improved property site with vehicle. EXIGENT/EMERGENCY 2: “Bugout” on foot to a State forest within 10 miles of home (some prepositioned supplies, with an alternate site another 5 miles away. 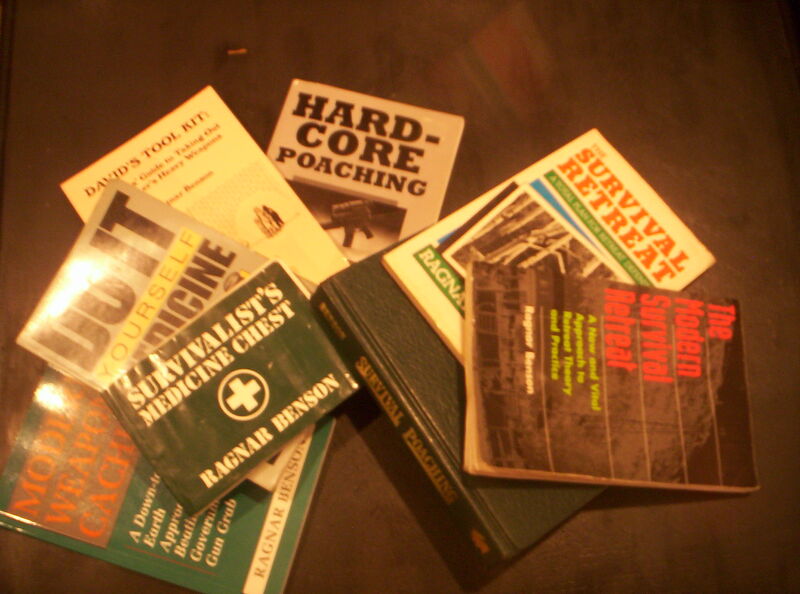 I read a lot of Ragnar Benson’s (among others) stuff when I was a kid. Some of it was BS, and some had some real pearls of wisdom in it (like a lot of survivalist/survivalism books). One of the most important things I ever gleaned from his writing is something to keep in mind when planning any of your options. NEVER BECOME A REFUGEE! In most instances ( a few are not) primarily planning to “Bugout” without weighing and prioritizing other options first is planning to be a refugee, whether you like it or not. Read some of what Selco has to say, or better yet, look at the refugees walking across Europe and tell me that is something you consider as a viable option if others are available. What’s the bottom line? If you have no options to “Bug To” after your “Bug In” option is expended, by all means plan a “Bugout”. Hopefully it will be with a vehicle, but if not, go to my buddy Bergmann’s Youtube page and get some advice on planning and prepositioning for your eventual “Bugout” operation implementation. Prior Proper Planning Prevents Piss Poor Performance (7P’s), right? Being a Survivalist has been a rewarding, but at times daunting, task throughout my life from a youngster till now. In the end though, it’s more about those we care about than what it does for us that’s important. That’s why realistic assessments of the facts, not fantasy, is crucial to your survival. “Some say you’re dead on account of this”. And some say you never will be………. on account of this”. Great article based on real life not some fantasy. Thank you.